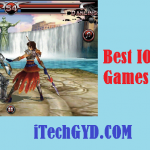 We would never let our IOS fans down only be doing a list of the best Android browsers. The internet is something you stay connected to on your mobile phone all the time. 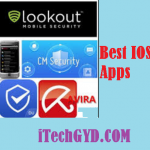 If you are an Apple user and looking forward to know about some best IOS browsers, here we are. 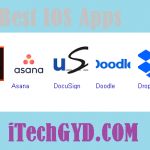 We have brought you our picks for Top 10 Best IOS Browsers 2019. 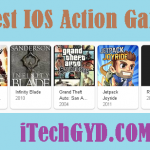 So without any further delay, let us begin our list now on iTechGYD. No matter what device you have and the operating system you are using, the browser which is always going to dominate any list is Google Chrome. Google Chrome from Google is light, fast, and has everything necessary for you to do the browsing. It comes with many features such as tons of plugins and extensions, night more and incognito mode, games, flash and shockwave player support and much more. It is free, light, easy to use, and if I go for the explanation of features, the list is going to be a long one. I would have rated another browser here but as for IOS, Apple’s Safari is something which you would prefer the above one. This has many reasons to it. One of the reasons is that it is made compatible with the Apple devices. Also, all the features which are designed in it are according to it. Just like any other top browser, Safari would provide you features such as surfing the internet in multiple tabs, shockwave and flash player, and incognito mode. Moreover, this is light, fast, and sometimes, even better than Chrome in some cases. Not every browser you are going to use is coming for free. For Atomic Browser, you will need to pay $1 but what you get in return is definitely worth that. While you are looking for some alternatives in the internet browsers category, this will work. As for the features, there are tons of them. Let it be private or public internet browsing or tons of extensions including the ad blocker and file downloaders, it is all there in the Atomic Browser. You can also change the appearance of the browser by different themes and make it look more beautiful. Android is not the only platform where this Dolphin Browser gets its fans. Due to the features which brings on the both sides, Dolphin has tons of lovers on the IOS platform as well. By the time of its release, people were hyped for this and it really fulfilled the expectations. Another of the free browsers, Dolphin does not bring features which you need exactly but also the enhanced ones. The features such as the night mode or incognito have been really improved. Multiple tab tasking is also enhanced and being light and fast, you will love this one. When you first start browsing through this one on your IOS device, you feel like that this browser did not deserve to be on the list. However, when you start using its features such as importing and exporting bookmarks, ad blocker, and auto-fill features you would really like it. Also, one features which is really impressive about this browser is its download manager. You can download any free audio music, video, and other documents easily on your phone with its integrated download manager and that is the best part of it. For those who are familiar with the technology stuff and have been using the internet for a long while, this is one of the names they are mainly familiar with. Mozilla FireFox is rated quite below is this because of some of the compatibility issues at some operating system otherwise, it is as good as the above top browsers. Again, Mozilla FireFox comes with tons of features such as the multiple tab tasking which is quite common, an impressive incognito mode, video playing plugins, and a lot more. Make sure that your IOS is well compatible with the version you using and go for it. Another newbie in the market in Puffin which claims that it is wicked fast. It has over 10 million downloads till bow and a rating of 4.3. It allows its users to have a safe web browsing experience by offering cloud storage. All data that goes from Puffin browser to sever is well-protected. There is customizable sidebar option available along with extremely fast browsing. All these features combines allow the user to surf the net quite smoothly. There are similarities in the name but this is a browser which takes you away from the traditional interface and use of a Firefox browser. This is the browser with which you get a whole new and easy-to-use interface. Also, you get some faster and better features which aren’t really impressive in the traditional one. What’s great and different about this browser is that it has made the use of plugins and add-ons quite easier. Now with all of this is coming in a nicer pack of browsing software, this definitely defines it as one of the bests. Opera Browser is another popular browser which has been downloaded over 100 million times till now. Opera has a sleek and convenient design. It comes with an in-built news feature. You can either read the news there or save in for later by subscribing to your favorite pages. You can also add any website you access most of the times to your home screen so that you can easily search on it without having to type in the address every time. Data Saving mode lets you save data by fast loading and this browser also allows you to zoom in on pages to read smaller fonts. Most of the times for many people, the Opera Mini browser on the mobile phones couldn’t do enough. They needed the exact copy of Opera’s desktop variant and that is when Opera Coast came into the line. Now here is a browser which is quite a replica of its desktop version and brings much more features for the users. There aren’t many options to name which are different or unique from what you get at the desktop so this is it.